As Disney approaches a year in which six of its biggest properties – Avengers, Star Wars, Toy Story, Frozen, The Lion King and Aladdin – will get new instalments or remakes, it is aiming to continue developing brand partnerships that bring something new to the table. This Friday sees the release of Ralph Breaks the Internet, the sequel to 2012’s Wreck-It Ralph, the story of a video game villain who grew tired of being pigeonholed. This time round, Ralph and his friend Vanellope are forced to venture out into the internet when her racing game is threatened with removal from the arcade in which they live. In the run-up to the release, Disney worked with long-standing partner eBay, again teaming up with a big-name YouTuber. The two brands have previously brought on board Colin Furze, known for building crazy contraptions, to construct a life-size Hulkbuster and TIE Fighter to mark the release of Avengers: Infinity War and Star Wars: The Last Jedi respectively. In each case, Furze used only items he was able to procure on eBay. This time, Disney and eBay are working with DanTDM, one of the biggest names in gaming on YouTube, and the partnership is more intrinsic: eBay features as a plot point in Ralph Breaks the Internet, while DanTDM voices the character eBoy. To promote the launch, limited-edition merchandise featuring the vlogger is being sold on eBay, raising money for Make-A-Wish UK, the charity that grants wishes for seriously ill children. EBay also launched an ad last week for Black Friday, remixing clips from the film with images of products available to buy on the platform. Anna Hill, chief marketing officer at Disney, UK and Ireland, said. 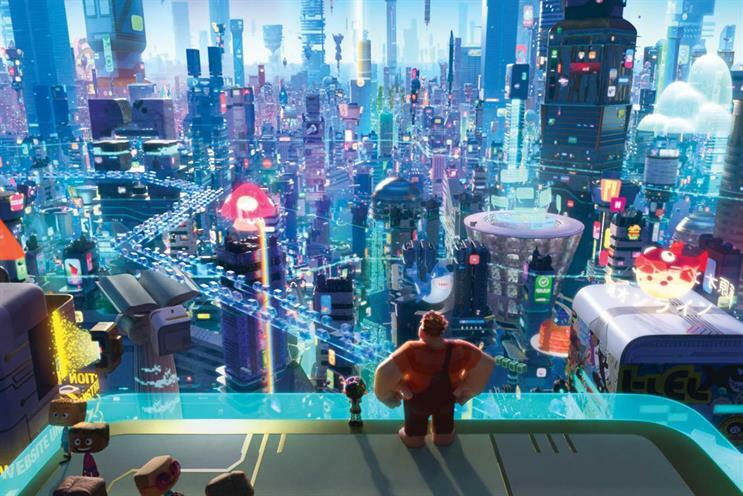 "The world that Ralph and Vanellope explore in Ralph Breaks the Internet is the perfect backdrop to the campaign, as it is the home of online shopping and influencers. The combination of Dan’s online community and eBay’s tools is a huge boost to our fundraising efforts." The ongoing work with eBay is one example of what Phil Riley, UK and Ireland director of franchise partnerships at Disney, described as the "end-to-end partnership solution" it is seeking to offer to brands. Depending on the needs of the partner, an arrangement could include Disney’s brands, intellectual property, creative teams or platforms, or any combination of these. He said: "There are so many different types of partnership now. 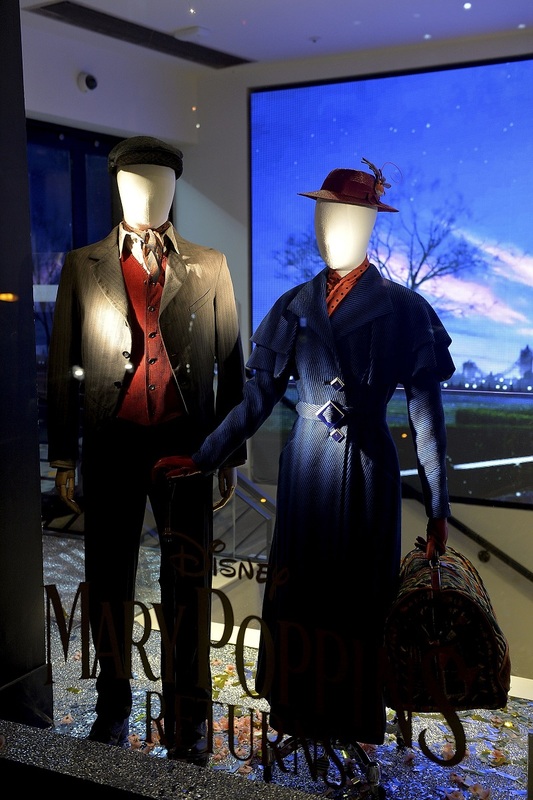 We don’t want it to be formulaic: ‘Here’s another one of those type of things.’"
Another recent brand to have partnered Disney is Harvey Nichols, which is running window displays featuring costumes from Mary Poppins Returns, the forthcoming sequel to the 1964 musical, as well as a photo opportunity in-store themed around the film. The partnership worked, Hill said, because both Harvey Nichols and Mary Poppins were "quintessentially English". She added: "They’re amazing as a retailer – they really wanted to bring some theatre to their stores and creatively were able to respond really quickly." And alongside new releases, Disney is continuing to squeeze mileage out of its longstanding properties. Earlier this month, it launched a new collection with sportswear brand Lacoste featuring Mickey and Minnie Mouse, to mark the 90th anniversary of the duo, as well as the 85th anniversary of Lacoste’s crocodile emblem. Disney’s in-house creative team created a film to launch the range featuring Novak Djokovic, in which the embroidered Mickey on the tennis player’s shirt comes to life and plays a game of tennis. This partnership was about bringing Mickey’s "sense of fun" to Lacoste, Hill said.